FREE Curad Waterproof Adhesive Tape at Walmart! 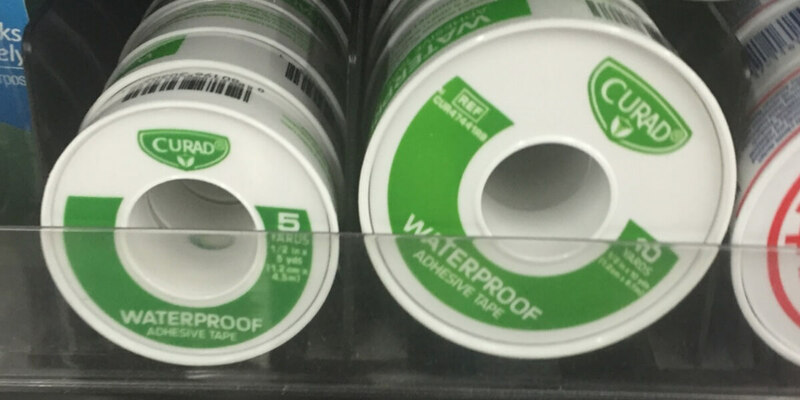 Walmart sells Curad Waterproof Adhesive Tape for $0.96 regular price. We have a $1/1 Curad Bandages, Tape or Gauze Coupon from the 5/7 Smart Source Insert making this product completely FREE + $0.04 money maker. Great product to add to your first aid kit! New Coupon! Softsoap Hand Soap Just $0.49 at ShopRite! New Coupon! Softsoap Body Wash Only $0.74 at ShopRite!